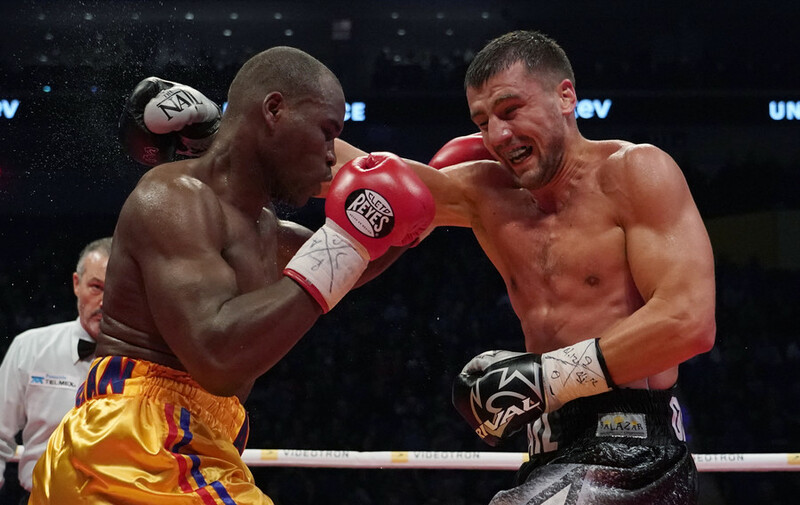 Adonis Stevenson still in ‘critical condition’ following devastating KO loss to Gvozdyk (VIDEO) Get short URL Adonis Stevenson’s promoter, Yvon Michel, has confirmed that his fighter is in intensive care following an 11th round knockout defeat to Ukraine’s Oleksandr Gvozdyk in his WBC light-heavyweight title fight on Saturday night. Stevenson, who was defending his title, suffered just the second defeat of his professional career against the still-undefeated Gvozdyk in the bout in Stevenson's home province of Quebec, Canada, on Saturday night. The forty-one-year-old was ahead on the scorecards heading into the bout’s final stretch but slumped into the corner of the ring after being caught by a barrage of punches from the challenger. He appeared conscious in the immediate aftermath of the fight but it soon became apparent that Stevenson was severely incapacitated and he was removed from the ring on a stretcher and taken to a nearby medical facility. Michel posted an update to social media soon after, confirming that Stevenson is being treated in intensive care. "News on the condition of Adonis. The family of Adonis and Yvon Michel are currently with Adonis Stevenson," he wrote. "They want to inform friends and supporters Adonis is currently in critical condition in intensive care, at the hospital, following his fight against Oleksander Gvozdyk. "They appreciate the concern and support of everyone. "There will be no further comments at this time and they respectfully request your understanding in their desire to stay private." The World Boxing Council also took to social media to send best wishes to Stevenson, while Tony Bellew, who was knocked out cold by Stevenson in a world title bout in 2013 also sent out a message in support of his former opponent.